In the year 2000, the national Highway traffic safety administration of the US Department of Transportation counted 41,821 fatalities, 5.3 million injuries and 28 million damaged vehicles. (New York State’s share in 2000 was about 1,500 fatalities, injuries were up to 292,000.) They put the economic cost of highway crashes at 231 billion; lost market productivity and 61 billion; medical expenses and 33 billion and travel delay of 25 billion. Alcohol involved crashes accounted for 51 billion or 22% of the total; speeding cost 40 billion; not using the seat belt cost 22% of the fatalities were 9200 lives in 143,000 serious injuries. Using the seat belt prevented 11,900 fatalities and 325,000 serious injuries. The New York State Department of Motor Vehicles, after an extensive two-year review of NYSP’s Court’s content and training material, has stated … “the final product now serves as a model for other programs.” Endorsement valued highly by NYSP. 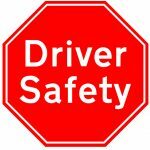 CSEA is offering it’s members and their family driver improvement classes to reduce up to four points on your driving record and a 10% reduction on your insurance premiums for up to 3-years. Online classes are available by logging onto www.nysponline.com and entering code “CSEA” to receive the reduced rate of $23.95 per person. I am pleased to announce our newest member only benefit — defensive driving — which is being offered through New York safety program (NYSP). The classes will be held at different locations throughout the state and are available to CSEA members and their family members at a special discount price of $18. That’s a savings of $27 for members! NYSP’s PIRP is a six hour classroom course to encourage the development of habits and behaviors associated with advanced driving skills. Certified instructors guide the students through the program, using video presentations. The materials and film were updated in 2002. The program has been designed to help students become more aware of their individual responsibility as a driver. A study guide has been designed to help the students identify the reasons for the driving behavior and help them make personal commitments to change and improve the necessary. We know this program will save you money — and may even save your life.